An unusual birthday at Alice Springs on April 11 2017. 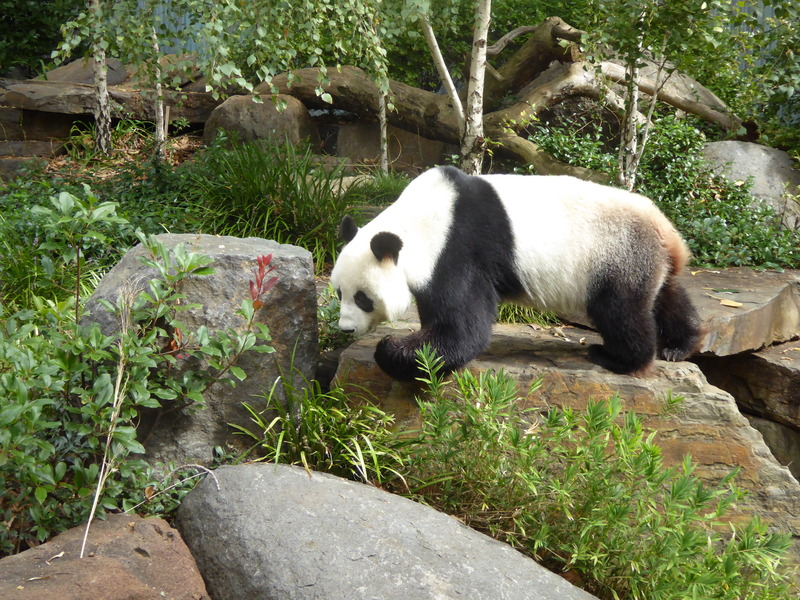 A Giant Panda in the Adelaide Zoo. After leaving Wentworth Falls I travelled by train to Albury then bus to Deniliquin. Next day my daughter Elizabeth drove her son Edward and I to Adelaide to stay with my daughter Catherine and Peter. While there we visited the Zoo. From here Elizabeth, Edward and I flew to Alice Springs….. 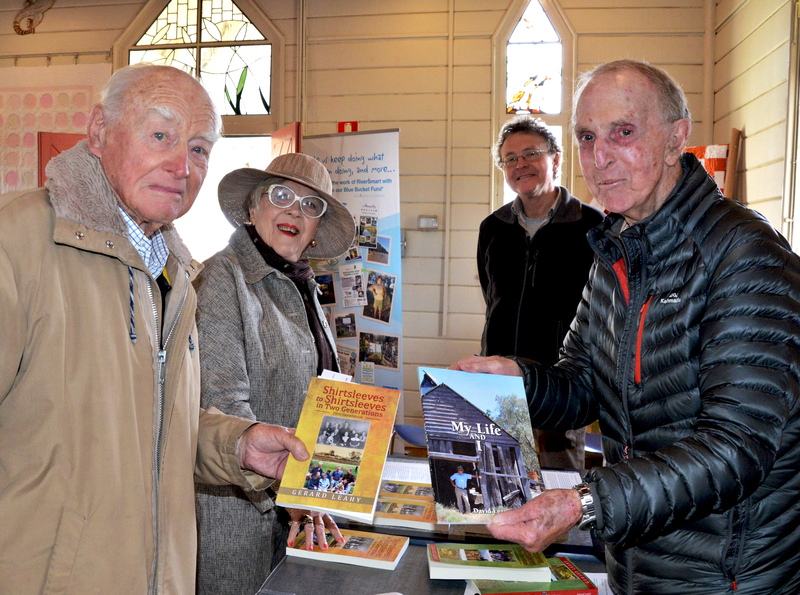 Successful visit to Dubbo and Warren in NSW on 23 and 24 June 2017 to promote the books. Warren’s Windows on the Wetlands Hall with (left to right) Stephen and Julie Lincoln, Brian and Gerard Leahy. 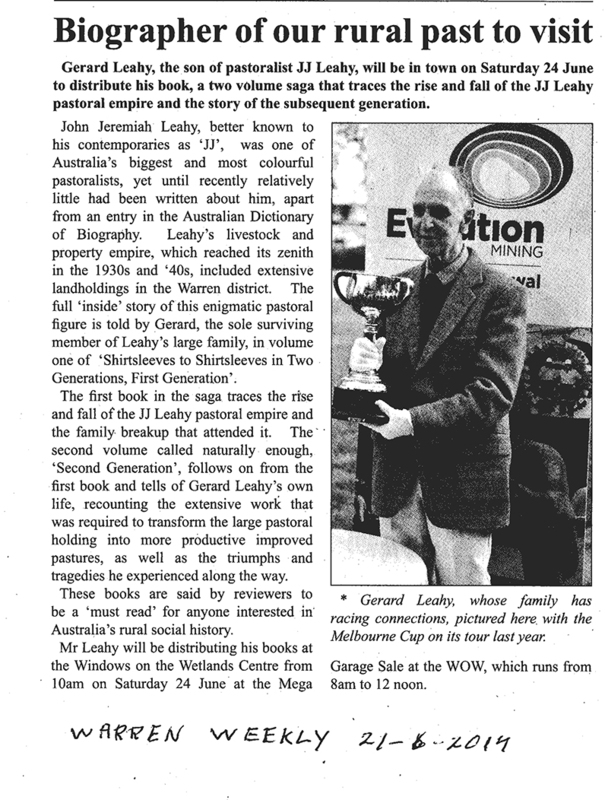 My family’s connection with the Melbourne Cup started with my mother’s family. She was descended on her mother’s side from the McDonells of Glen Garry in Scotland. The family lived in Cundletown on the Manning River where they ran a dairy farm. They made deliveries around town with their horse Zulu in their milk cart. In 1881 he won the Cup carrying 5st. 10lb. (36.2 kilos) with jockey Jim Gough. It is not known how he travelled to Melbourne, but…..